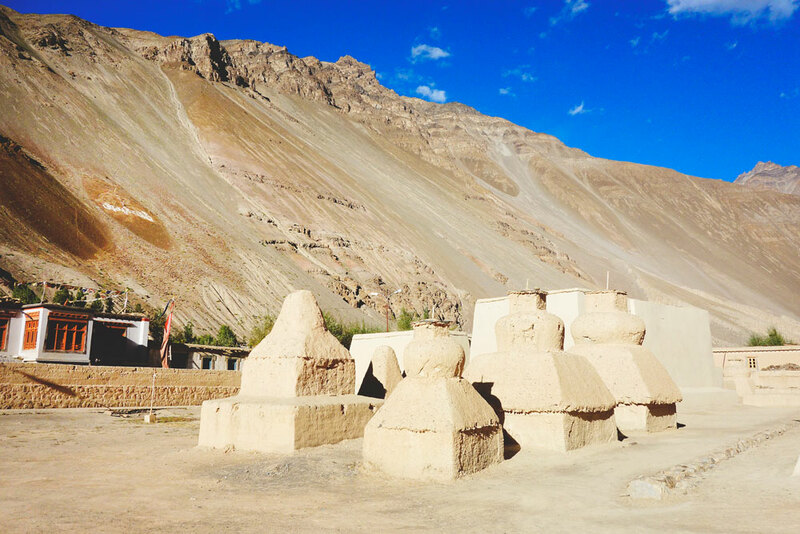 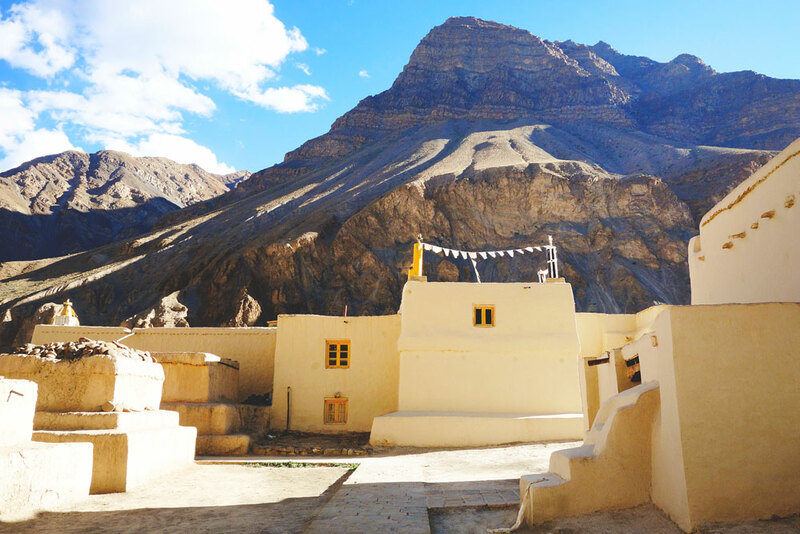 Grand mountain range envelops a small part of Spiti River Valley in which lies the village of Tabo, home to around 350 people and a Monastery, 3050 m above sea level. 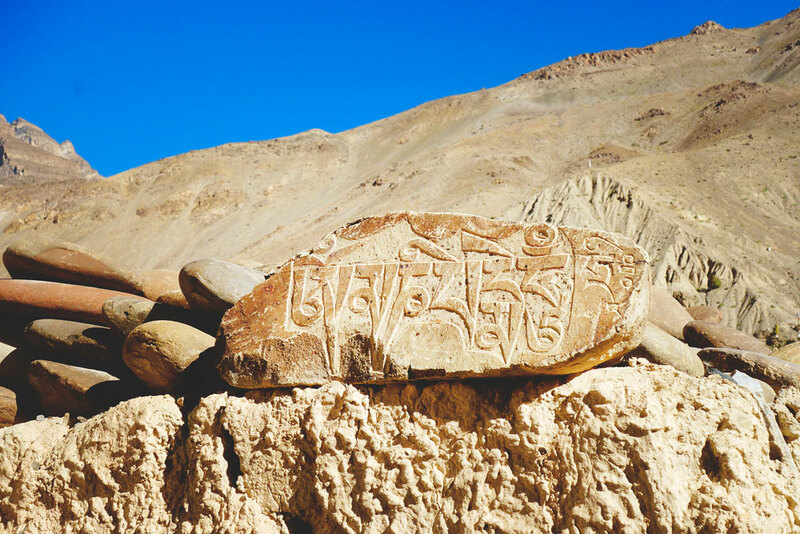 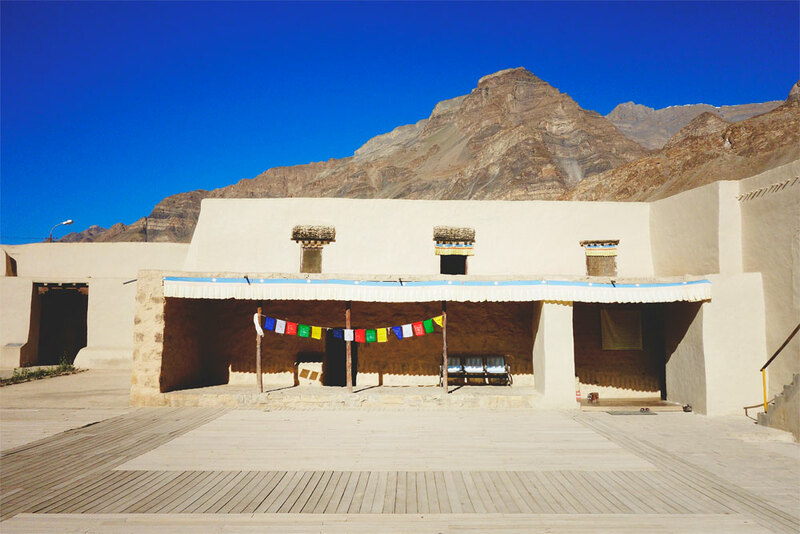 Also known as the ‘Ajanta of Himalayas’, Tabo Chos-Khor Monastery was founded in 996 A.D. by great teacher and translator Lotswa Rinchen Tsang Po, the western king of Himalayan Kingdom of Guge. 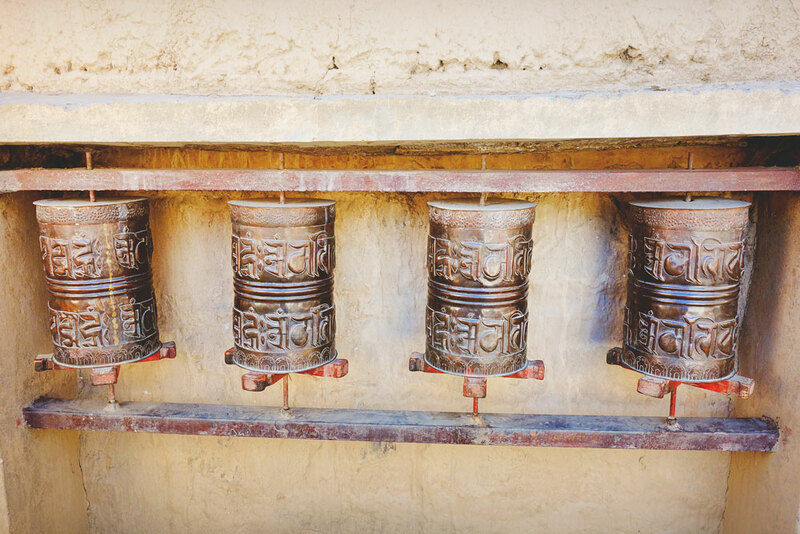 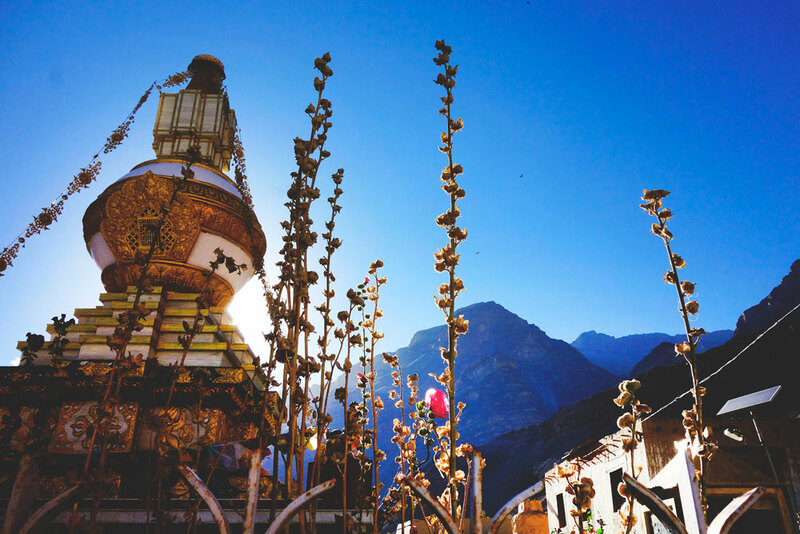 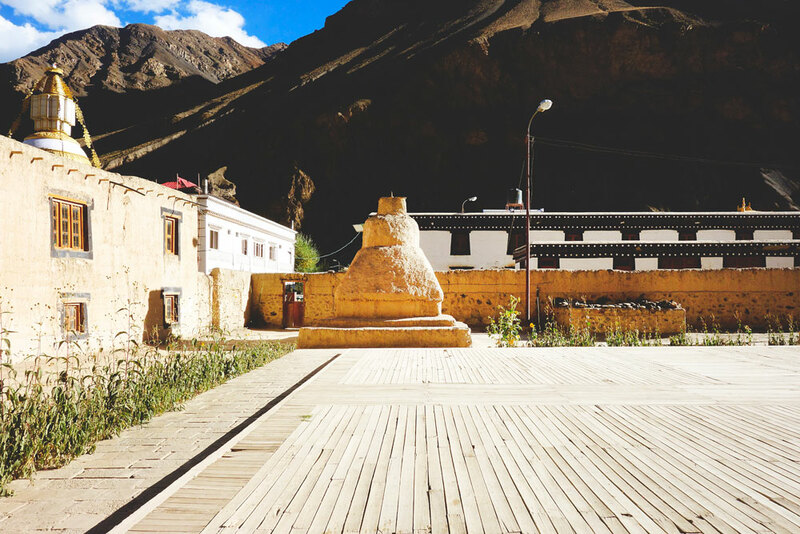 It was developed as an advance centre for attaining knowledge and to date, it is the preserver of the Buddhist legacy and is one of the most important monasteries of the entire Tibetan Buddhist world. 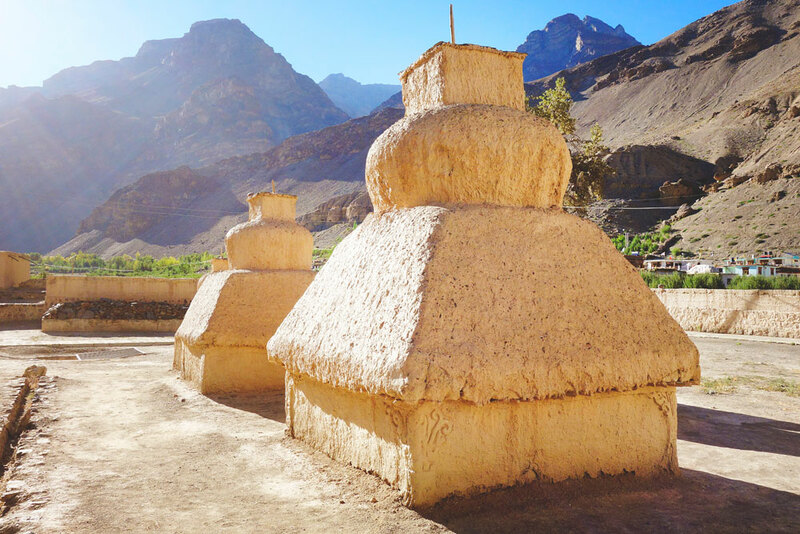 It is made on a flat ground with the use of mud brick and covers around 6300 sq of area. 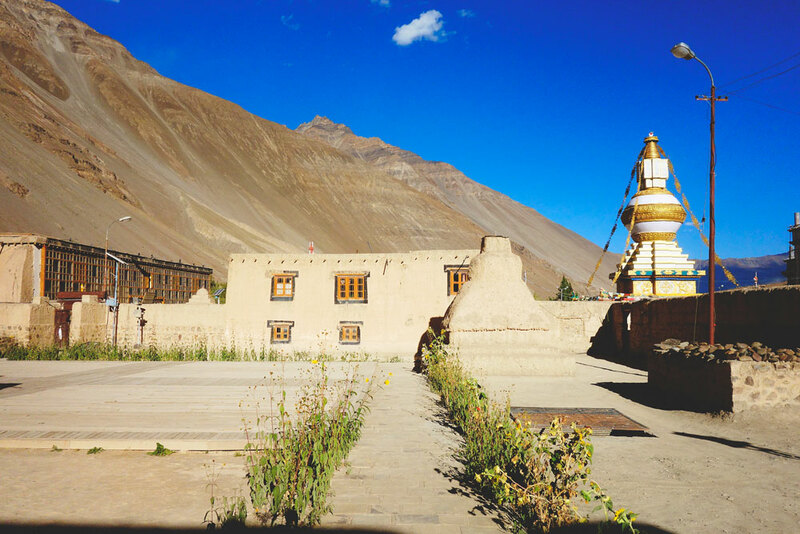 The monastery temples accommodate a rare collection of manuscripts and thangka paintings, beautiful statues in stuccos, murals and frescos depicting the legends from the Mahayana Buddhist Pantheon. 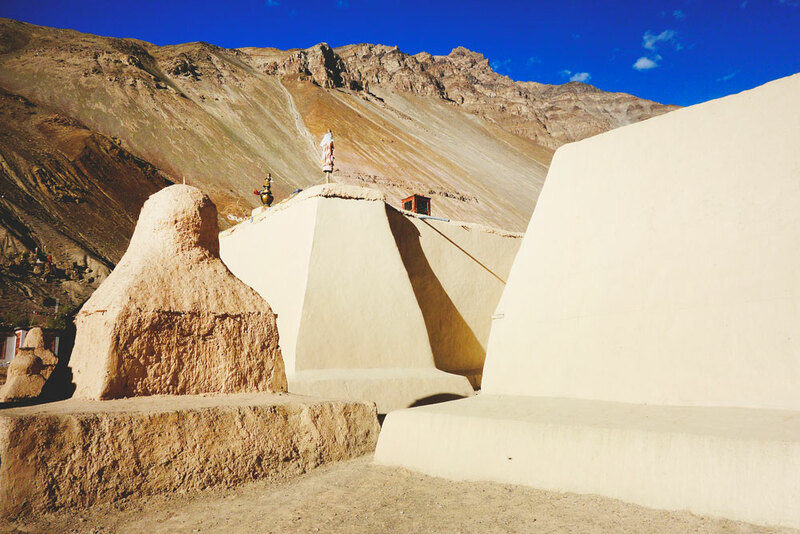 The paintings at every inch of wall are still astonishingly well preserved. 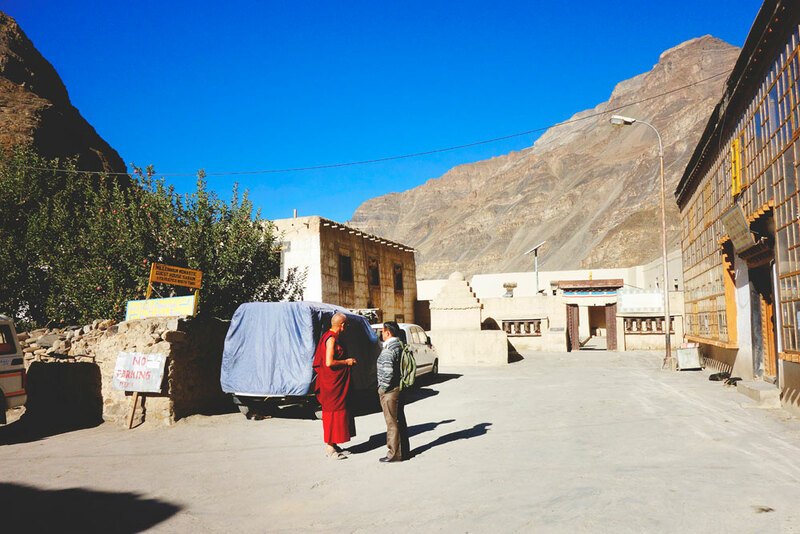 The monastery complex holds 9 temples, 23 chortens, a monk's chamber and an extension that accommodates the nun’s chamber.